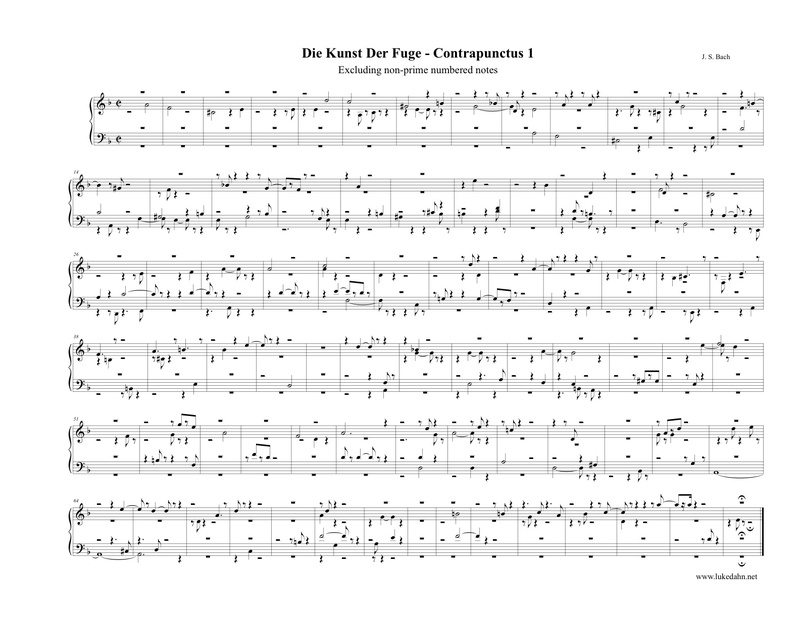 In the spirit of making cutbacks during this time of economic hardship, this Bach Contapunctus 1 from Die Kunst Der Fuge has been stripped of its non-prime numbered notes in each of the four voices. Sorry for the inconvenience (and perhaps sacrilege). This entry was posted in Things I do when I should be composing. Bookmark the permalink.